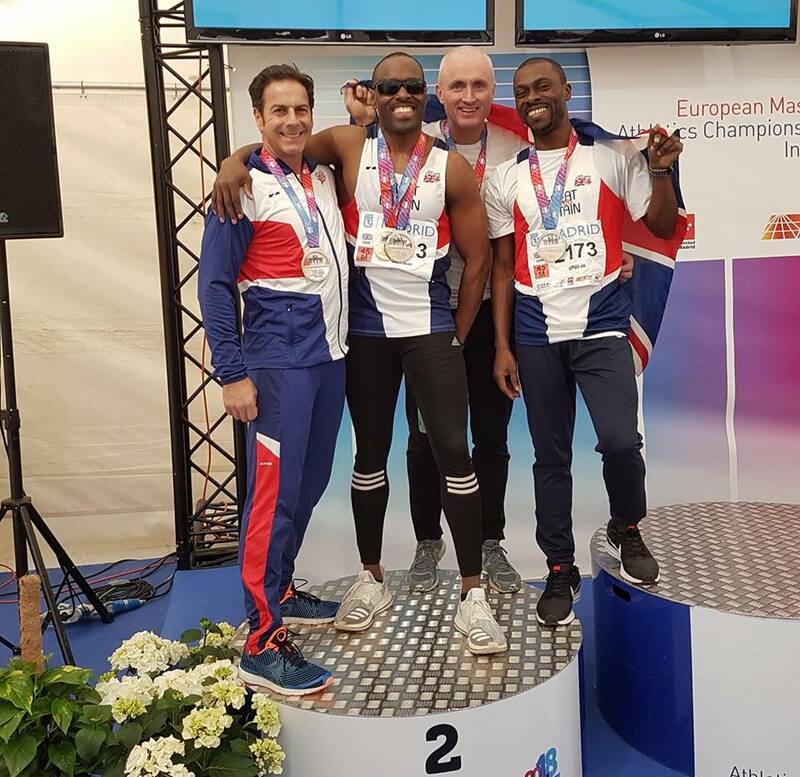 A busy weekend for ECH athlete Mike Coogan as he represented Team GB at the European Indoor Masters Athletics Championships in Madrid, Spain. Mike took part in the individual 200m and the 4 x 200m relay in the Male 45 category. Mike started his quest on Thursday 22nd March by progressing through heat 12 with a time of 23.47 and then the semi-final later that day in 23.27. 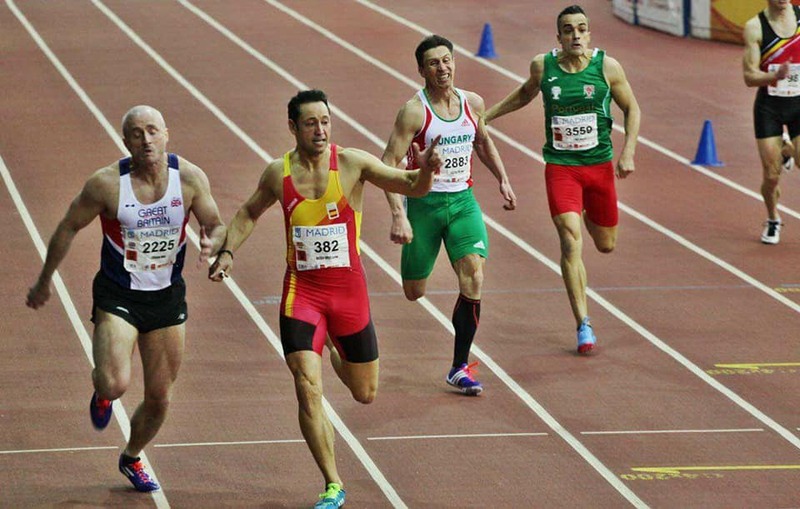 The final took place in the early evening the following day (Friday 23rd) and Mike was drawn in the outside lane 6. A thrilling race materialised with Mike making a big comeback in the last 50m to literally dive over the line (proven in photo inset) to take GOLD by 0.1 seconds, with a finishing time of 23.10 just beating Xavier Bosch Ortiz from Spain. 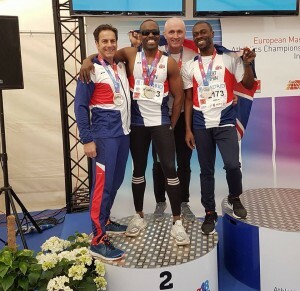 It didn’t stop there for Mike as he competed in the 4 x 200m relay on Saturday 24th in the afternoon with team mates Giuseppe Minetti, Jason Carty and Joe Appiah. All ran well to finish in a time of 1.35.26 to take a brilliant silver medal behind winners Spain who broke the meeting record in 1.34.50. Mike below (second from left) celebrating with his team mates on the podium! A fantastic weekend for Mike and an amazing achievement on becoming the European Champion, well done! !